The second part of ‘The Icemark Chronicles’ takes the story on a generation, and it’s now the children of warrior queen Thirrin and mage Oskan who face the renewed assault of the Polypontian Empire. This kind of war game epic in which magic and magical creatures mingle with half recognisable semi-feudal human societies has been done so often that anyone like Hill who is able to do it this well and keep a light touch and a straight face for over 600 pages has to be admired. 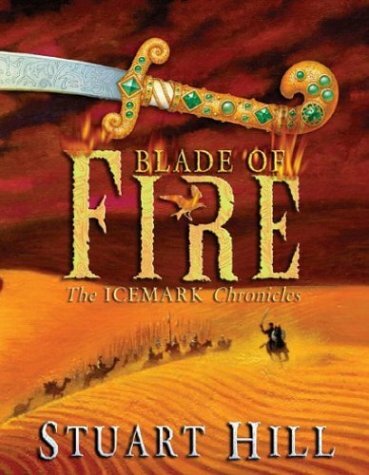 Young Charlemagne is sent away from the Icemark to gather allies from the countries to the far south and to discover his warrior destiny among the cavalry of the Desert People, while at home his sulky resentful sister Medea, turns her developing magical powers against her own family. High rhetoric, teenage angst and sibling rivalry are brought together as well, and as unexpectedly, as the motley Icemark allied force of werewolves, snow leopards, vampires, ghosts, rock trolls, zombies and trees. This time, of all the allies, it is Their Vampiric Majesties who have a special place. Faded immortal aristocrat lovers, with a wonderful line in undead endearments, they turn from reluctant participants to be at the centre of the battle and to make the ultimate sacrifice.